Great teacher gift ideas to show appreciation for all they do. I don’t know about you, but I always feel like teachers are like some sort of magical unicorn. Not only are they responsible for my kids, which is enough work in and of itself, but 20+ other kids too! To show a little holiday cheer and not gift them with ONE MORE mug, here are a few ideas for your kiddos teacher. These also make great teacher appreciation, end of the year gift, or are perfect for anyone you want to show a little appreciation to: bus drivers, dance instructors, nail tech, hairdresser, mail carrier etc. 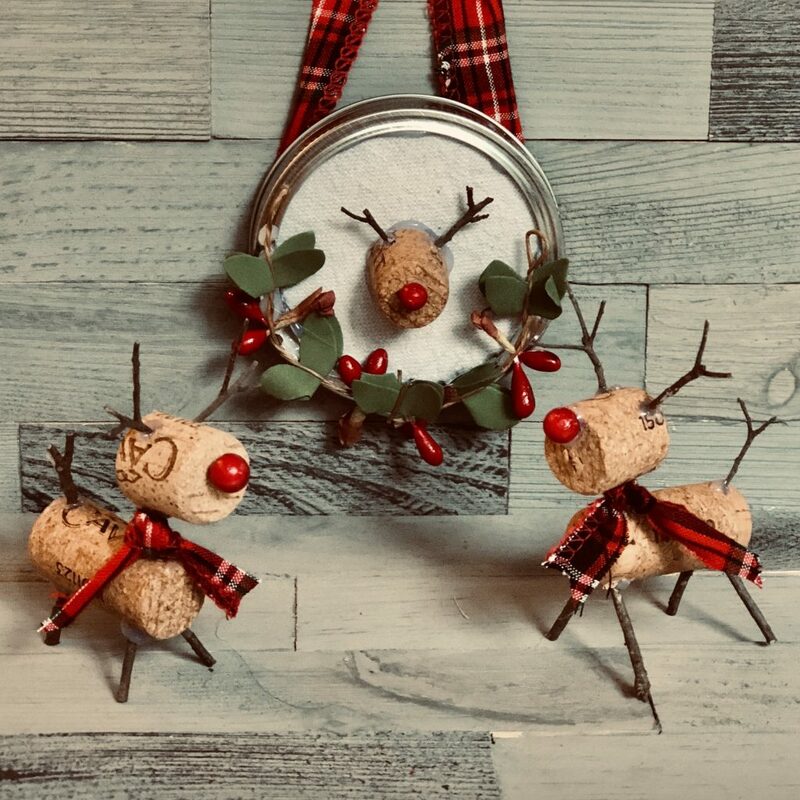 Recently I posted how I made two different kinds of Wine Cork Deer Crafts that would also make the perfect ornament. 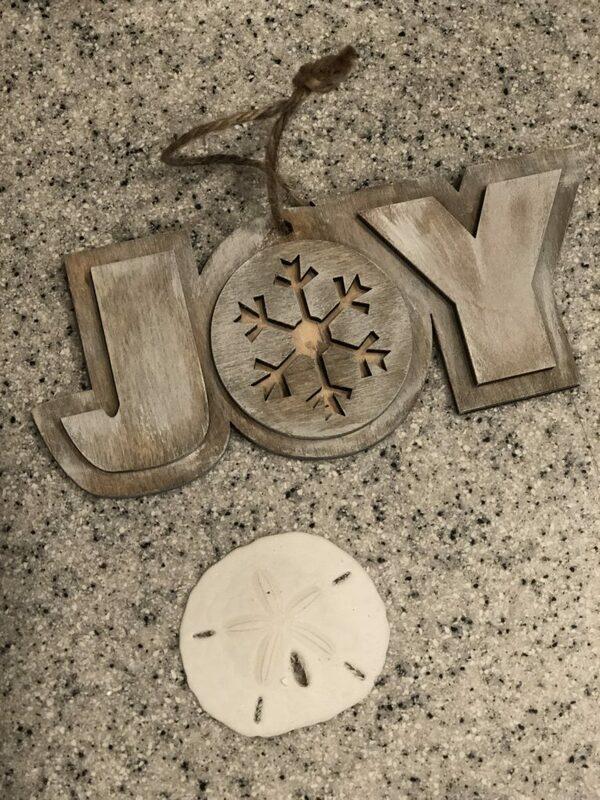 I found the cutest unfinished ornaments at Walmart and added a shell for some coastal flair. 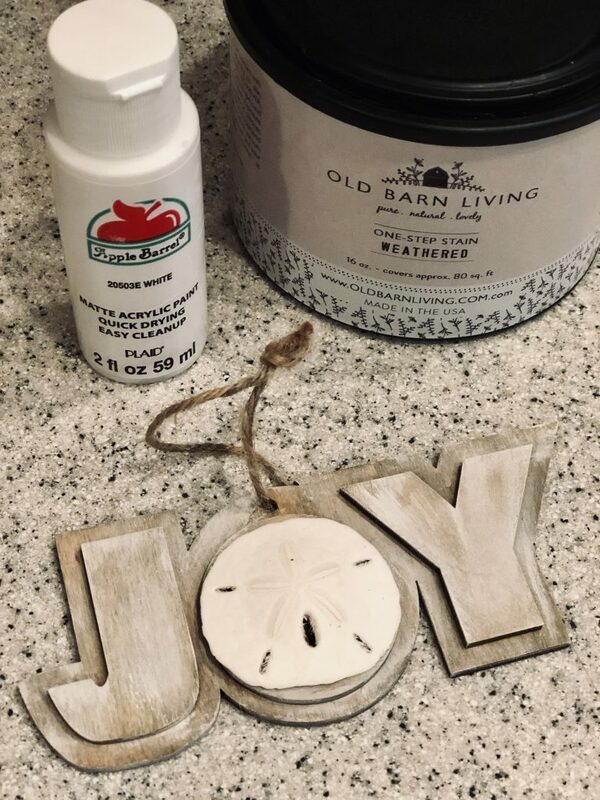 I used a little bit of wood stain and dry brushed with white craft paint to give a weathered look. 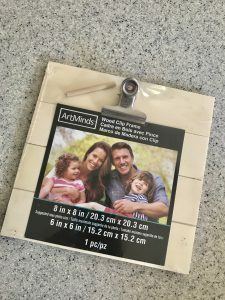 You can also find unfinished picture frames at places like Michaels and create a picture frame. 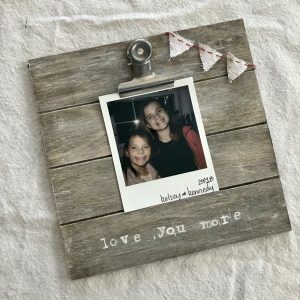 You can also read about how I created these farmhouse style picture frames here. Chalkboard paint and a cute message. 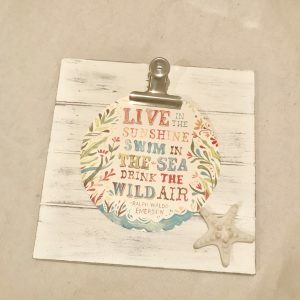 I added one of my favorite quotes and a tiny shell to give it the coastal farmhouse feel. The farmhouse wood box that we made for the Hometalk Workshop could be a perfect addition to any teacher classroom! 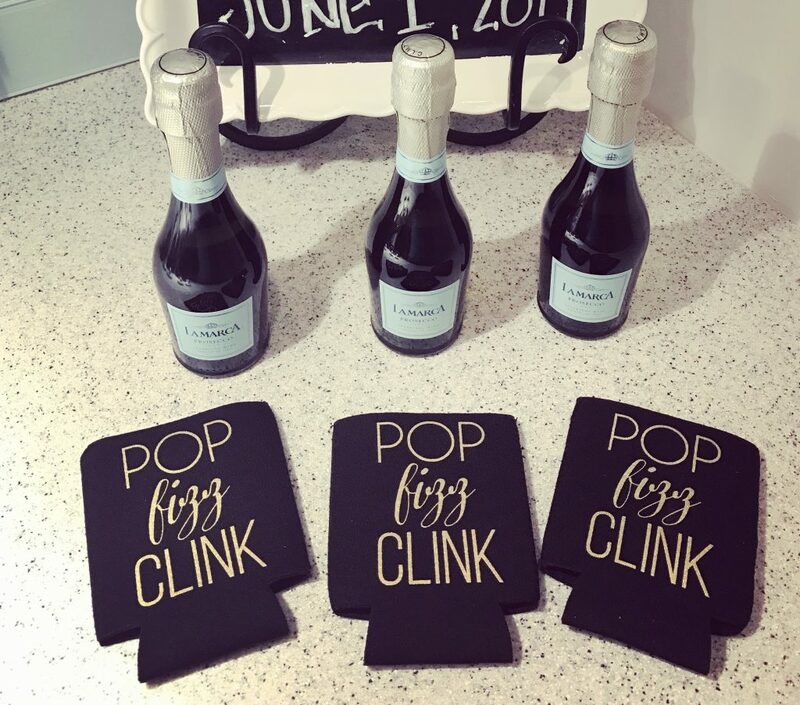 Mini bottles of champagne are a way to celebrate, pair it with a super cute drink koozie and you have two gifts in one! Celebrate the special teacher in your life. 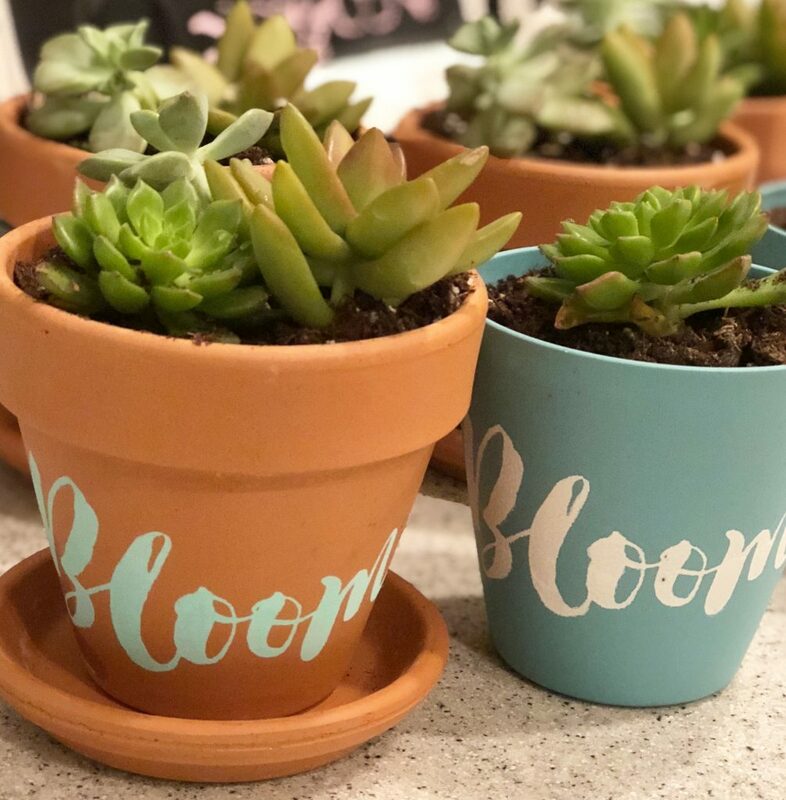 Succulents are so easy to maintain and are a cute little gift in any kind of pot. Add a little stencil for the personal touch. Great for female and male teachers. My personal favorite is a mason jar gift package. You can add practically anything in it and the best part, mason jars can be used over and over. You can hit up the dollar store and find some pretty nailpoish and travel manicure set. Add a fun drink refresher and a gift card to a coffee spot. Fill it with layers of baking ingredients for your special cookie recipe. Truly the possibilities are endless. I added a chalkboard tag and used stamps to create a personal message and had the girls sign their names. Mason jars are the perfect container to hold any gift. These are just a few of the super easy and thoughtful gifts you can give to the special people responsible for shaping our future. There’s a little something for everyone and are fairly inexpensive. 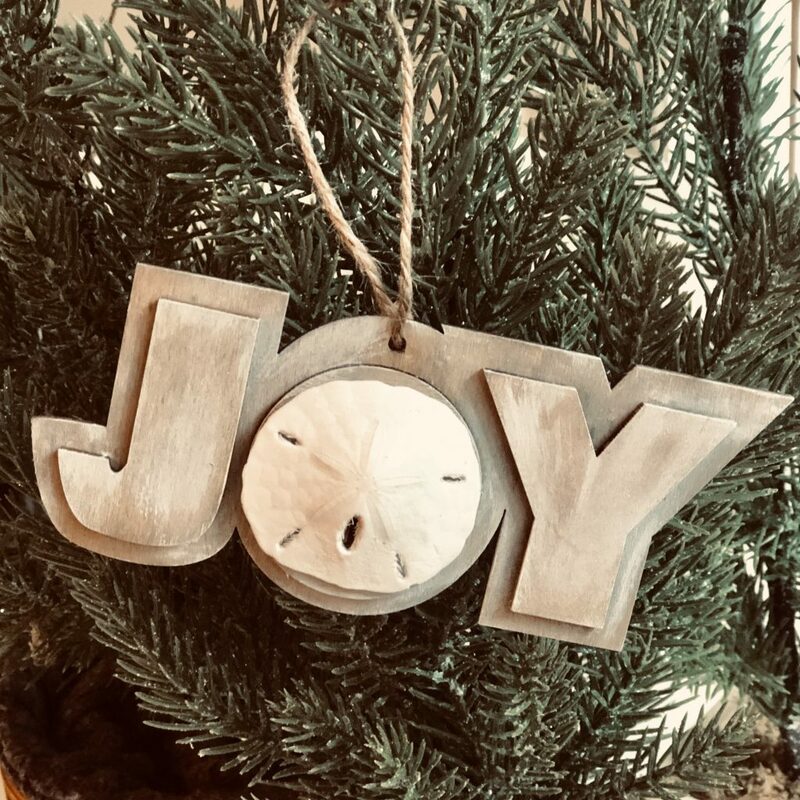 Don’t forget to check out the other awesome gift ideas below in the Deck the Home Holiday Blog Hop! Oh my Gosh this is just adorable! Those wine cork deer are adorable! 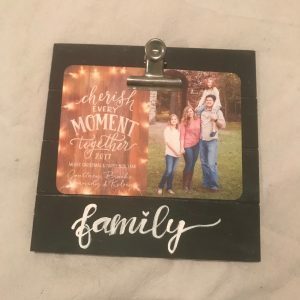 Great collection of gift ideas! Thank you Maureen! It was a lot of fun to put this all together. Great ideas! I’m always trying to come up with something cute and creative for my daughter’s teachers. Thanks for the inspiration! You have so many amazing ideas for teachers. I am always a loss what to get my teacher friends for Christmas. That’s so awesome Meegan! This is just the tip of the iceberg for sure, but were a hit with the teachers. Cute ideas, Brooke! 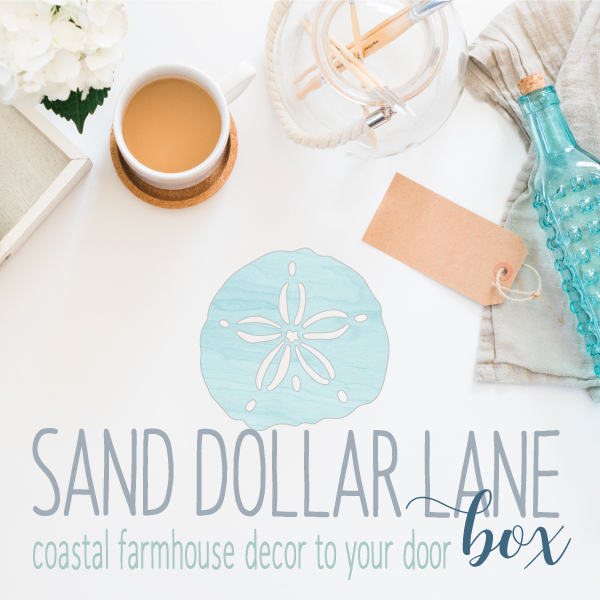 I love the farmhouse wood box! Thank you Eileen!! 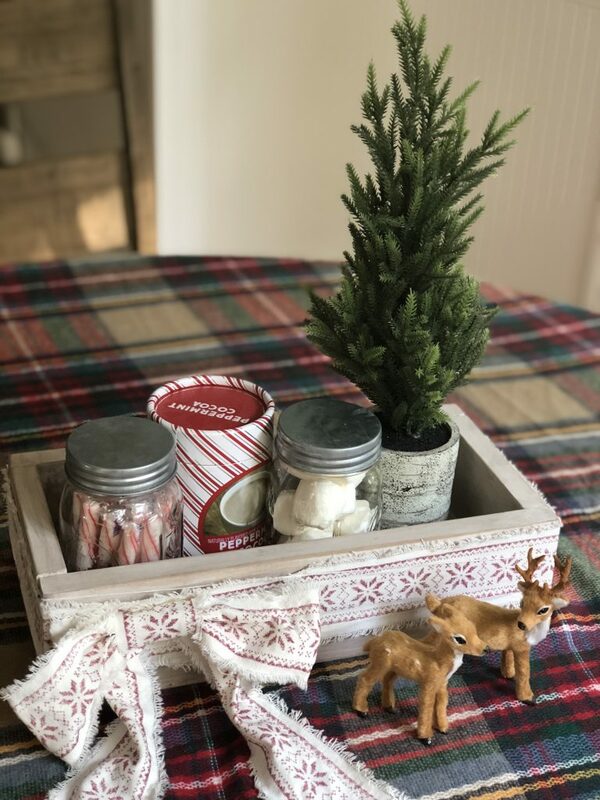 The farmhouse wood box was so much fun to make! Great collection of ideas! This is my first year that I have to think of teacher gifts, I think I’ll try the reindeer ornaments! Thanks for these great ideas, Brooke. I need two gifts for my daughter’s Kindergarten teachers. 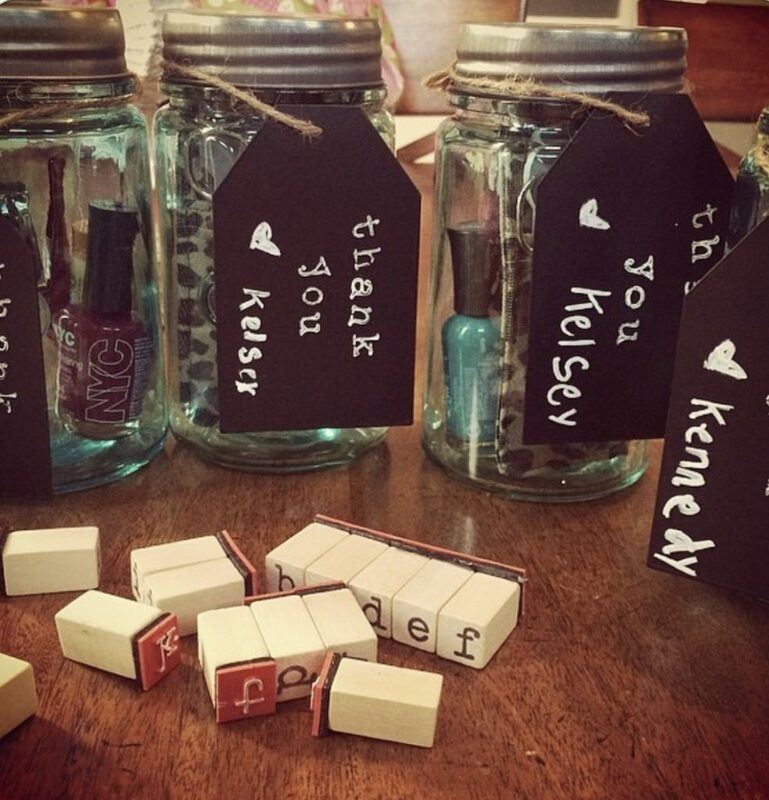 I agree, anything in a Mason jar makes a fun, practical and stylish gift. I think I’ll try the succulents! I love all these ideas Brooke! Lots of gift giving inspiration here! These are some great ideas. I love the little reindeer ornaments! That’d be great to save some important corks from different events to create them.